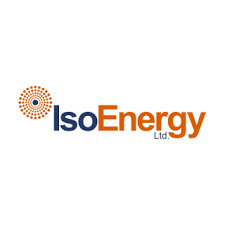 IsoEnergy Ltd. (TSX-V: ISO) (OTCQX: ISENF) is pleased to announce that it has intersected an interval of strong (>20,000 total cps on an RS-125 hand-held spectrometer) uranium mineralization at the Hurricane zone in the first follow-up drill hole (LE19-06) completed along-strike of last summer’s intersection in drill hole LE18-01A. The Hurricane zone is a new discovery of high-grade uranium mineralization on the Company’s 100% owned Larocque East property in the eastern Athabasca Basin of northern Saskatchewan. Notes: 1. Radioactivity is total gamma from drill core measured with an RS-125 hand-held scintillometer.